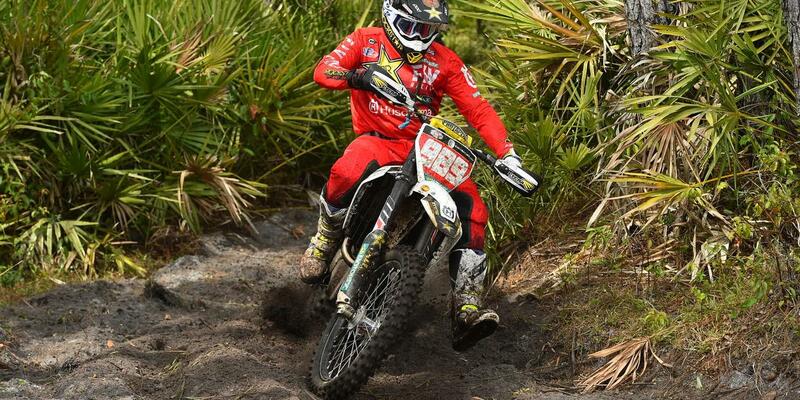 The 2019 AMA Grand National Cross Country (GNCC) Series kicked off on Sunday with the opening round in Palatka, Florida where Rockstar Energy Factory Racing Team’s Thad DuVall earned a podium finish in a brutal three-hour bout through the rough sands of Florida. His teammate, Trevor Bollinger, finished just off the podium in fourth. 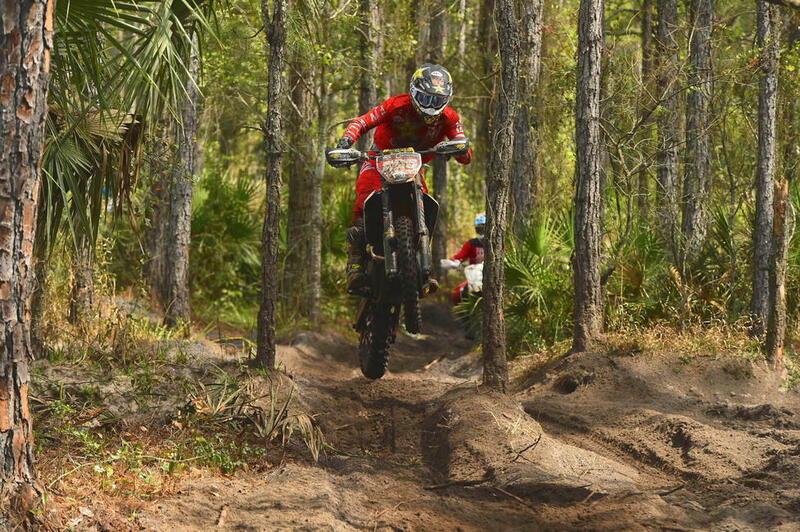 As the green flag flew for the premier XC1 Open Pro class, DuVall got a good jump aboard his FX 350 but he went down in the third corner and lost some ground early on. Rounding the opening lap in fifth, DuVall continued to charge his way through the pack and into second by lap two. He pushed hard to bring himself into the lead battle around the halfway point as he diced back-and-forth with Kailub Russell for the lead. As DuVall and Russell were battling, Steward Baylor was able to overtake the top position and DuVall settled into third heading into the final hour. From there, DuVall continued to fight for the second-place position, where he finished less than 30 seconds back for third overall. Rockstar Energy Husqvarna Factory Racing’s Trevor Bollinger lined up in the XC1 Open Pro class aboard the FX 450. Bollinger had a good jump off the line just behind DuVall in the first turn. However, DuVall went down a few turns in and Bollinger, who checked up to miss a collision a collision with his teammate, dropped a handful of positions back to just inside the top-10 early on. He climbed his way back up to fourth by the end of lap one and from there he maintained a consistent pace through the checkers, finishing fourth in the XC1 class and fifth overall. Husqvarna Motorcycles-supported, Rockstar Energy athlete, Tayla Jones, claimed the opening round victory in the WXC class with flag-to-flag dominance over her competition.